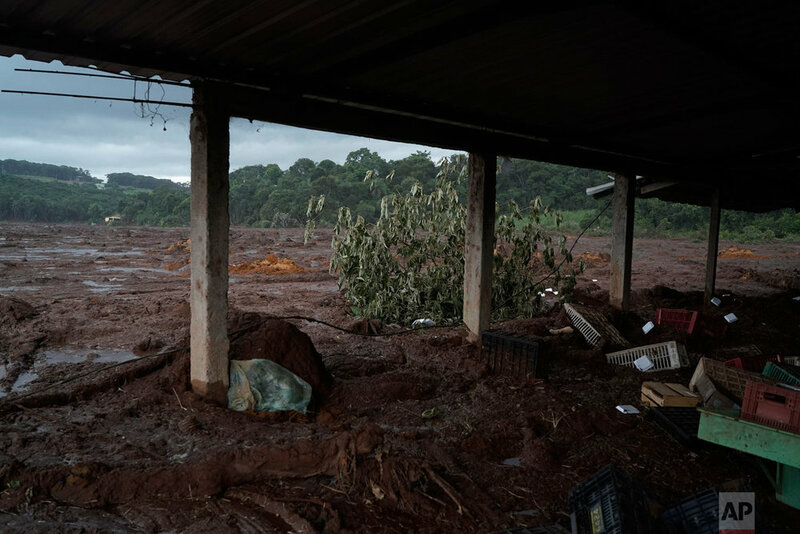 Photographer Leo Correa traveled to Brumadinho on assignment for The Associated Press on the day that a mining dam collapsed. He spent nearly a week documenting the tragedy. 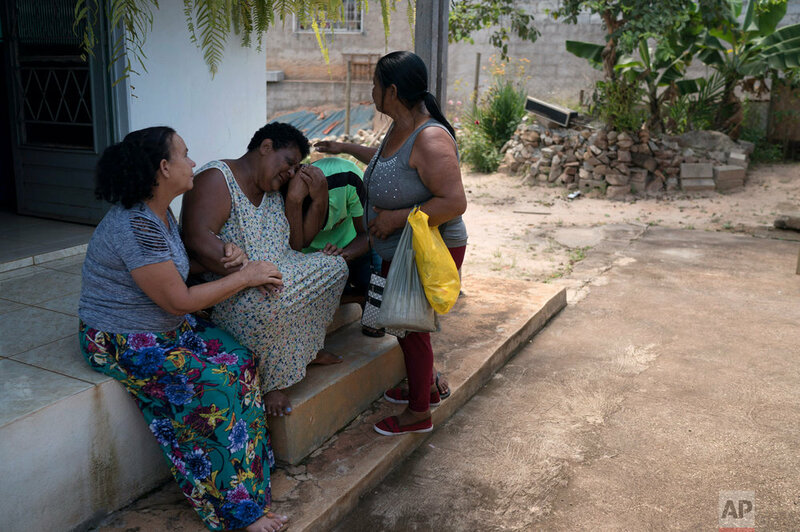 AP photographer Leo Correa recounts one mother's painful search for a missing son in the wake of a massive dam collapse in Brazil. 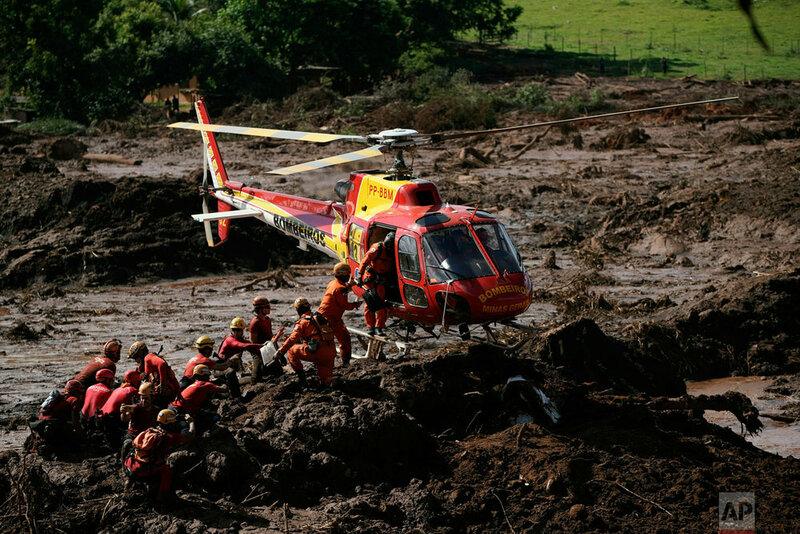 My first day covering a devastating dam collapse in southeastern Brazil, I was on the phone with my editor when a crying woman approached me. "Sir, sir, can you help me to find my son?" asked the woman, looking at me with glassy eyes that felt empty. "Do you know where my son is?" 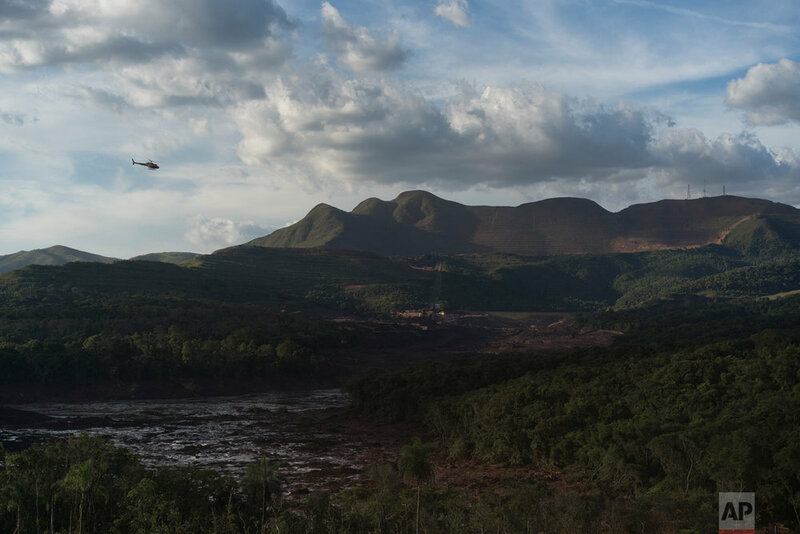 The Jan. 25 breach of the dam, owned and operated by Vale SA, unleashed tens of thousands of pounds (kilograms) of reddish-brown mud over a wide area in Brumadinho. It buried a Vale lunchroom, where hundreds of employees were believed to be eating, and also clobbered several other company buildings and parts of the city, including an inn. 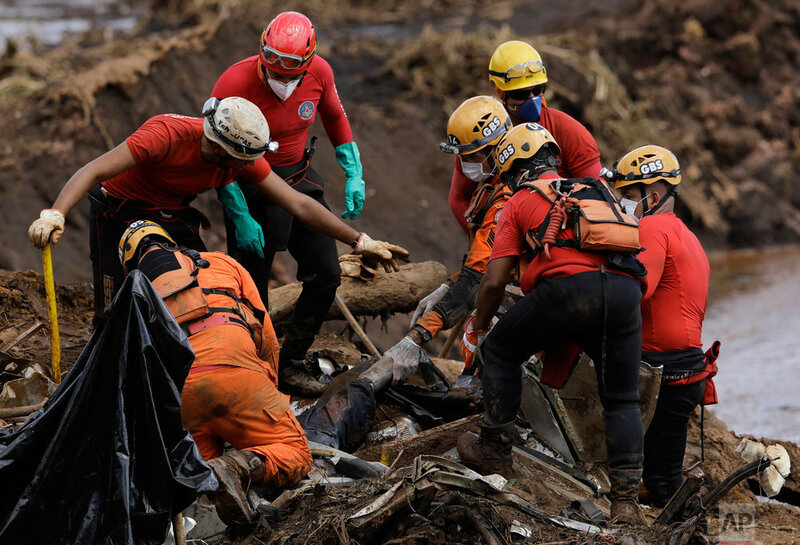 Authorities have already recovered more than 120 bodies, and more than 200 people remain missing. Shortly after the encounter with the woman, I went to an area where a fresh produce market had been plastered with mud. Rescuers were recovering a body so badly crumpled that it fit in a basket used to carry fruit. It was humid (it’s summer in Brazil), and the mounds of mud, laden with discharge from the iron ore mine, produced a unique stench that reminded me of blood. Two days later, I went to an area called Corrego do Feijao, the epicenter of the breach, which got the brunt of the deluge. Rescuers had found a bus with an unknown number of bodies stuck inside. The mud again smelled like blood, but now there was also a strong stench of bodies in decomposition. In another moment, I saw Nunes on her knees praying while Fernando looked on, crying. 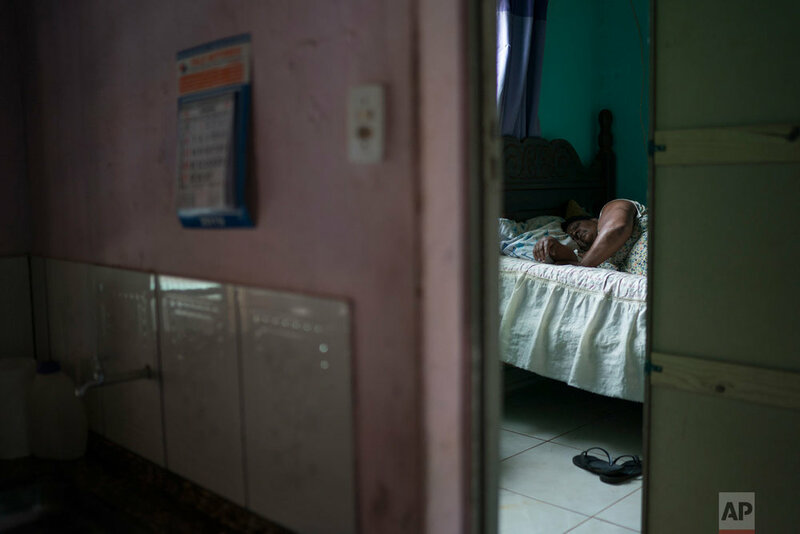 Text from the AP news story, Searching for her son: A mother’s quest in Brazil dam breach, by Leo Correa.